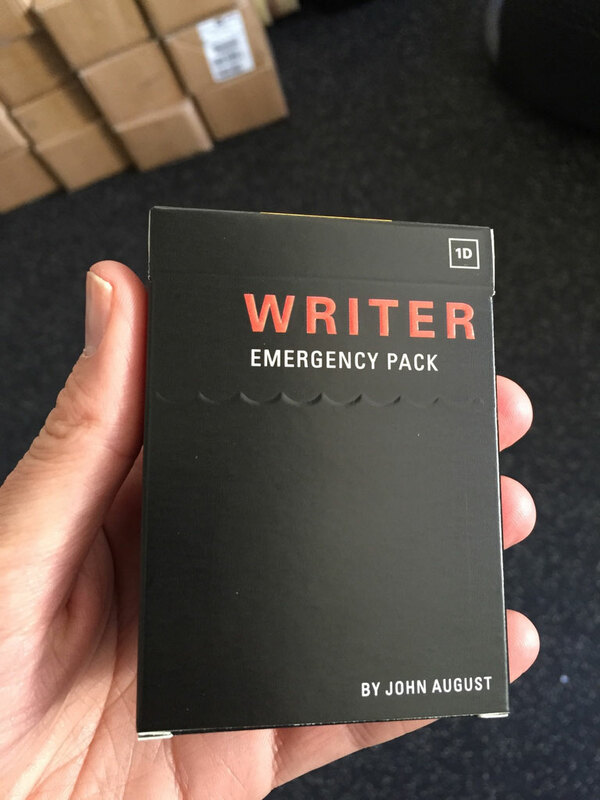 One of the projects I’m most proud of is a little deck of cards designed to help writers get through Writers' block called Writer Emergency Pack. 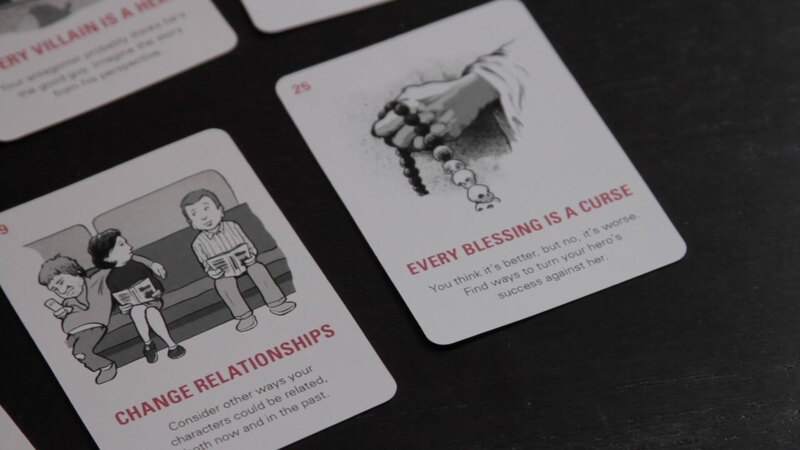 Lead by veteran screenwriter John August, we launched a Kickstarter in fall of 2014, raising over $155,000 and sending decks out to over 5,000 backers. 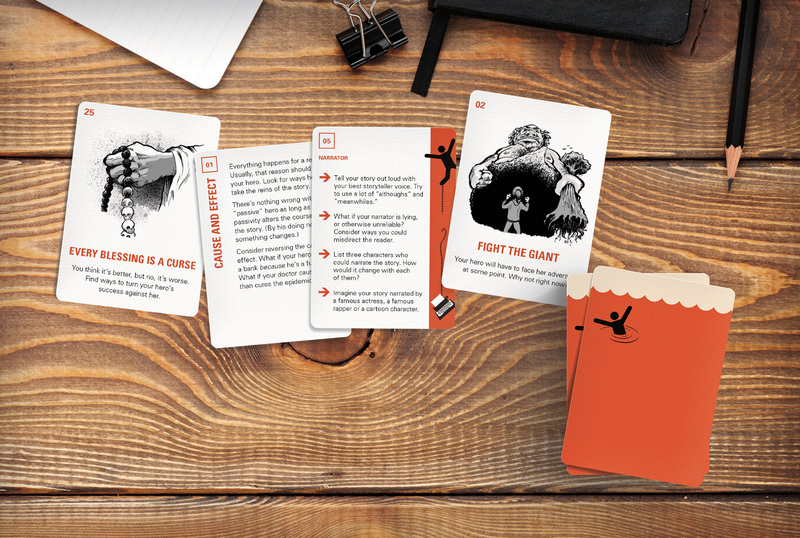 Better still, for each deck sent to backers, we were able to donate a deck to youth writing programs across the country. 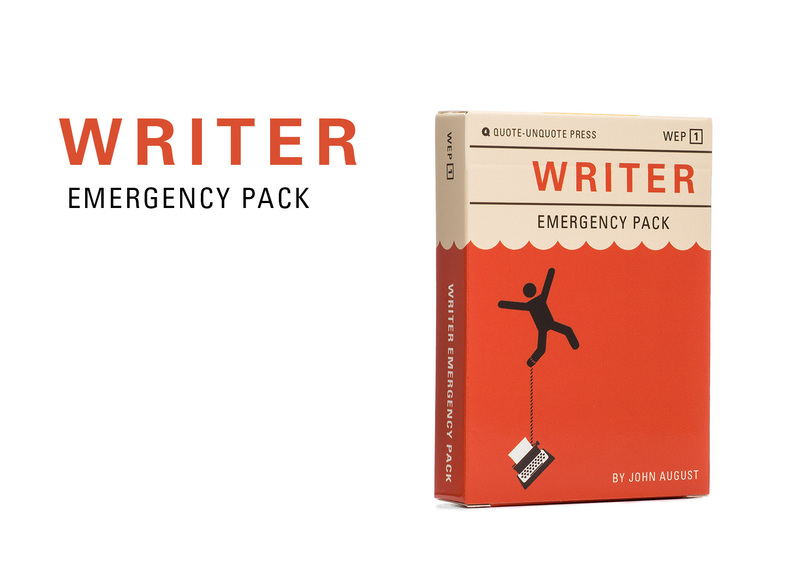 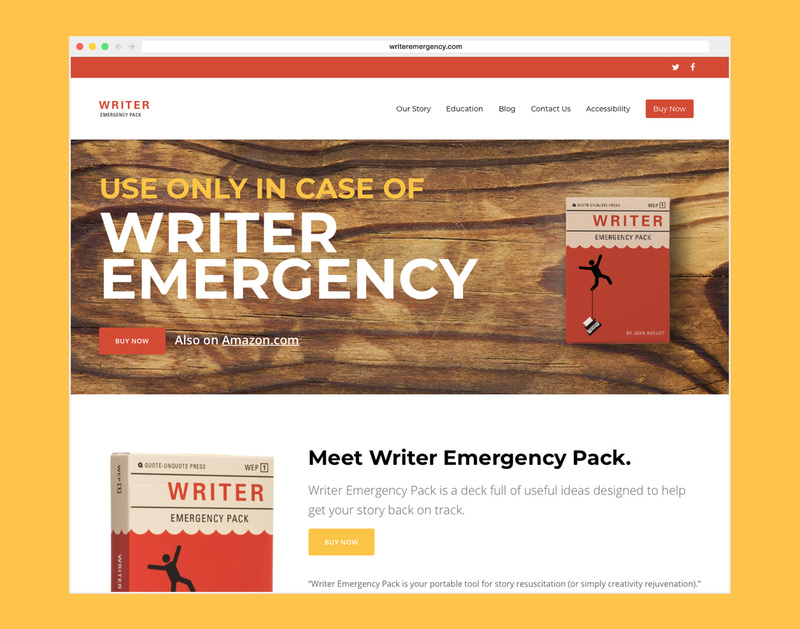 Writer Emergency Pack is available on Amazon and makes a great stocking stuffer for the writer in your life. 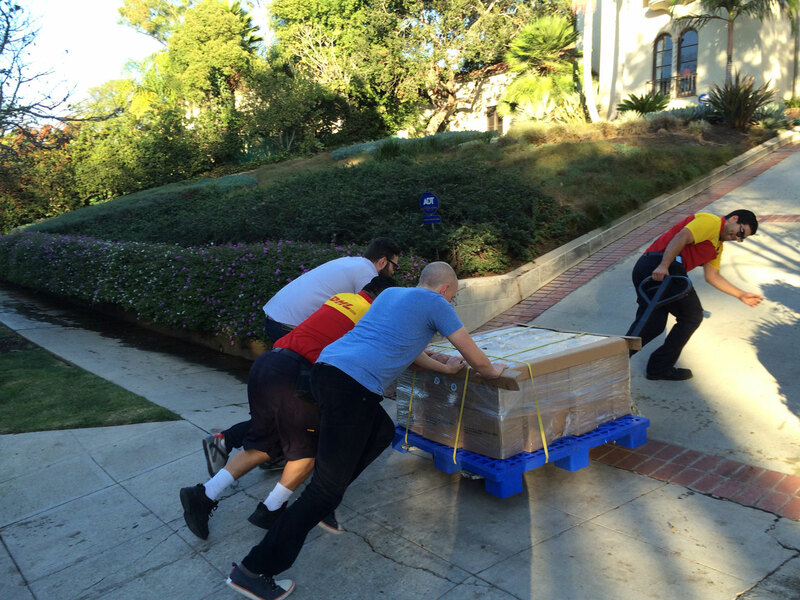 What packing and sending over 5,000 boxes looks like. 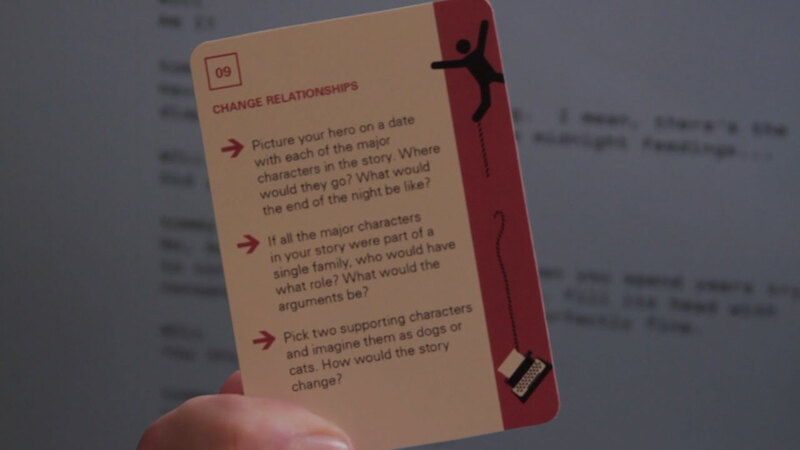 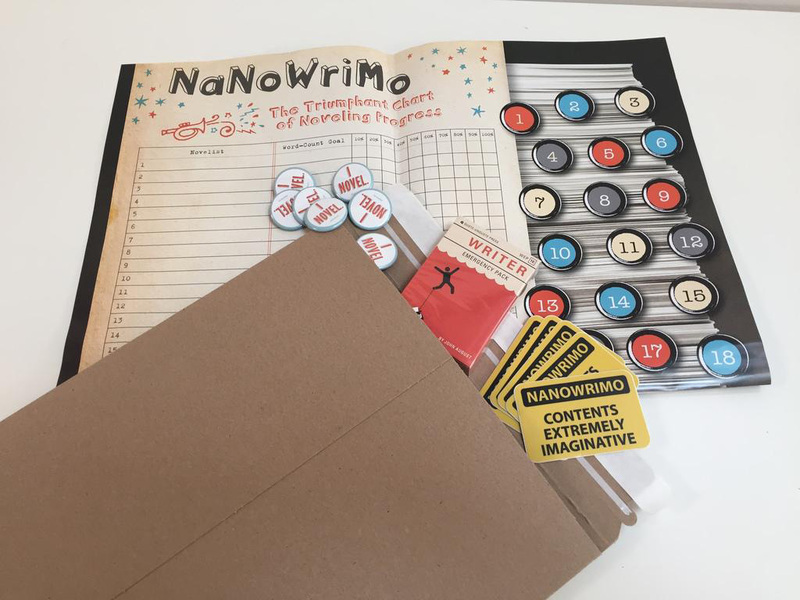 We worked with 864LA, NaNoWriMo and others to get decks into the hands of students. 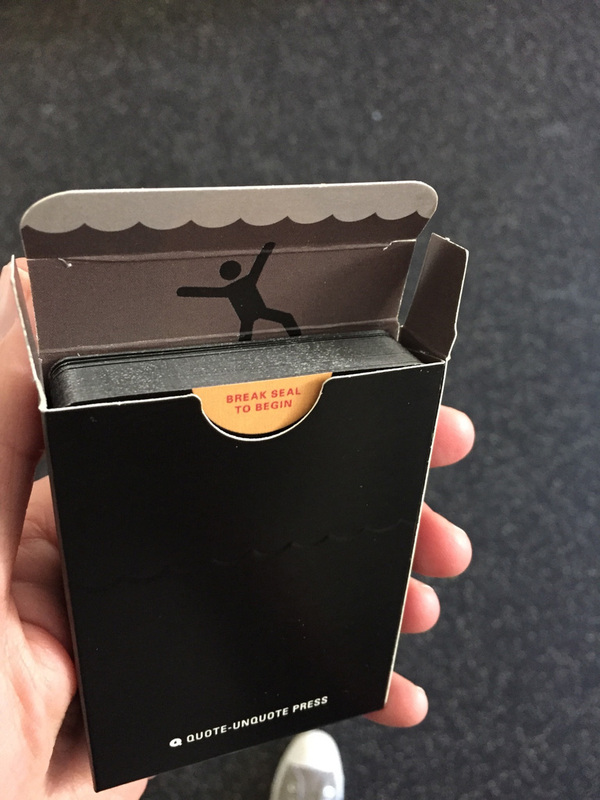 We also produced a limited edition Dark Mode deck.